When the Rain Comes may be the story of the monsoons hitting Sri Lanka and the flash floods that can occur but it’s also that of a little girl who finds the courage to do the right thing at the right time, demonstrating that it doesn’t matter how small or insignificant you may feel, you can make a difference. Malini certainly does. 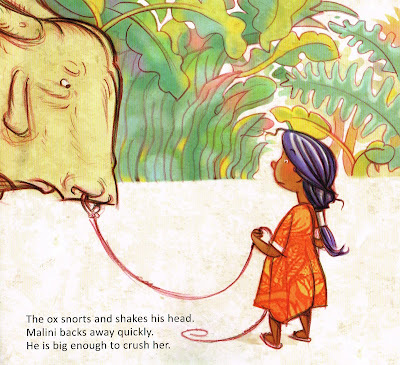 Alma Fullerton’s text takes the reader to Malini’s Sri Lankan village of choruses of spurfowls, bright warm colours and a ox-driven cart carrying a load of rice seedlings ready for the important seasonal planting. For Malini, it’s a milestone day because, as little as she is, she would finally learn how to plant those seedlings. 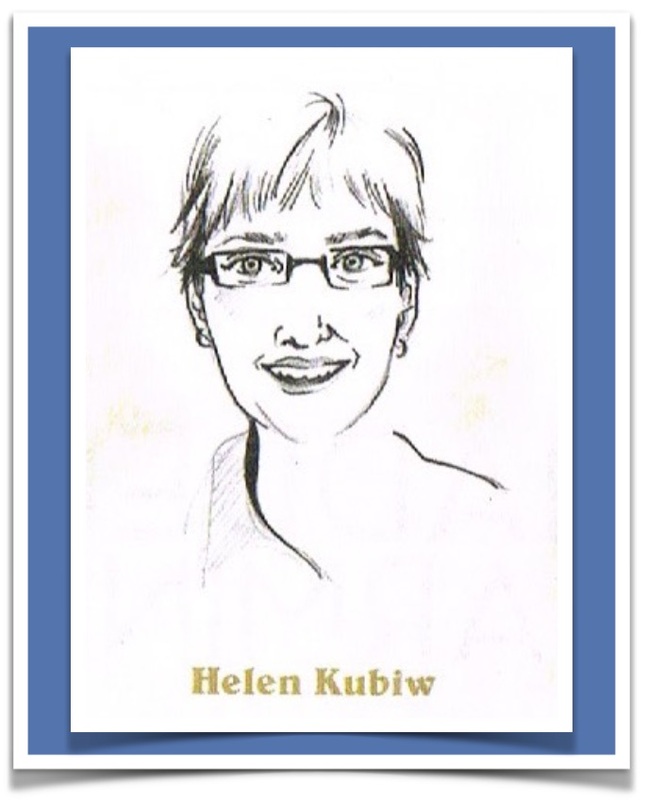 Her worries that she might do it wrong are supplanted when the bullock driver asks her to keep on eye on the massive creature while he pops into a café for a break. Then the uproar of wind and rain takes over. 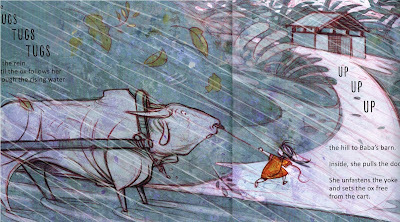 With an orchestration of flip-flap, whooshes, booms and cracks, the thunder claps and rains descend, creating a river of water down the road separating the bullock driver, as well as her parents, from Malini and the cart. Yelling above the uproar of water and wind, they instruct the terrified little girl who is being knocked down by the wind to get to the barn on higher ground and save the rice seedlings. It’s a monumental task of coordination and connection between Malini and the ox but one that ends in safety and a bond, even if only as long as the rain comes. 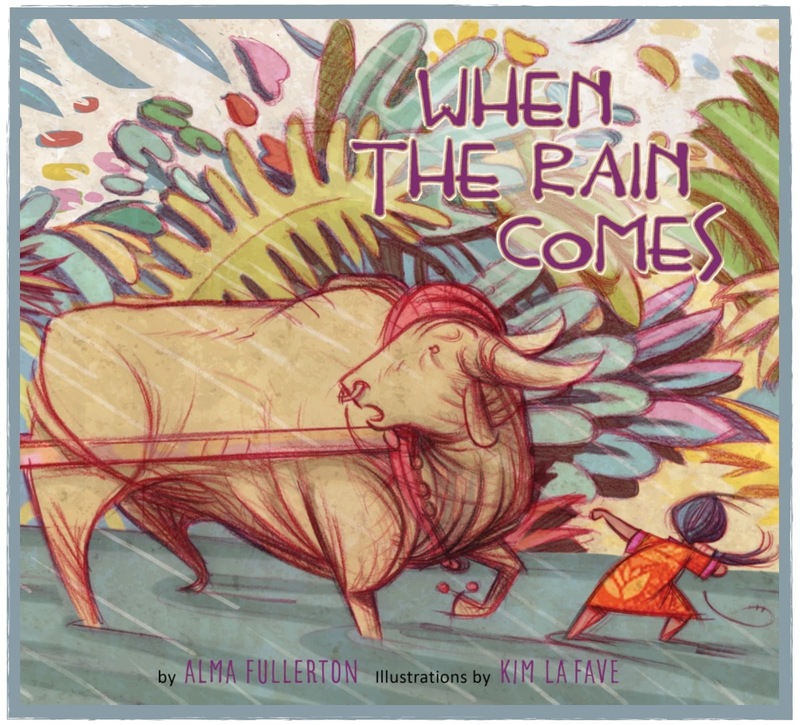 When the Rain Comes may tell the circumstances of a single flash flood, but Alma Fullerton’s text, as well as her endnote about Sri Lanka, enlighten young readers about a life unknown to many: one of monsoons, poverty, agriculture, and children’s contributions to family needs. 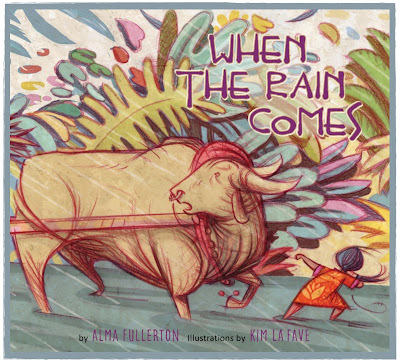 But it’s Alma Fullerton’s rhythmic lines and sound scape of life and weather that carries the story, along with Kim La Fave’s stirring illustrations. 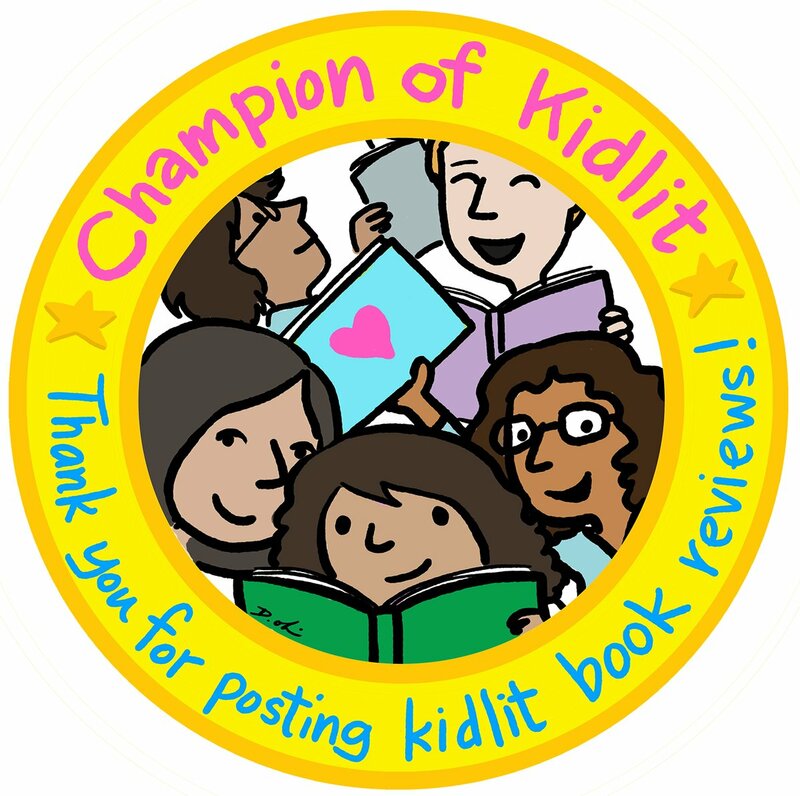 From the brightly-coloured warmth of Malini’s home life to the turmultous gloominess of the storm of flashing water, wind and sound, Kim La Fave contrasts the two realities, echoing Alma Fullerton’s cheerful and fearful situations. 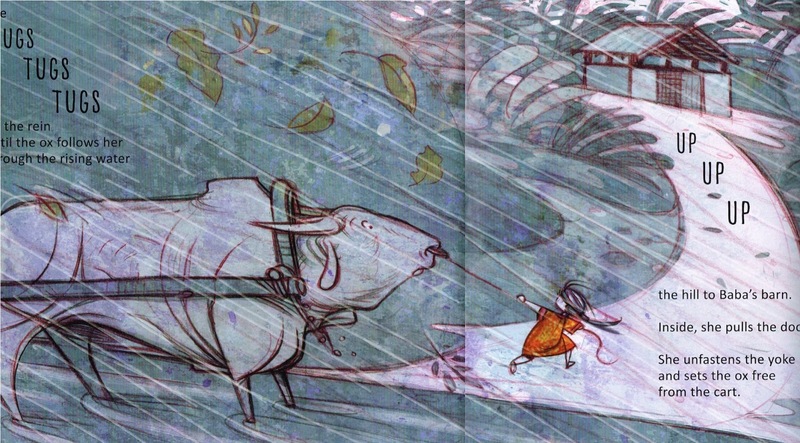 Moreover, Kim La Fave’s distinction between the gargantuan ox and the tiny child reinforces a message that anyone, no matter how small or young, can move mountains, or oxen, if need be. 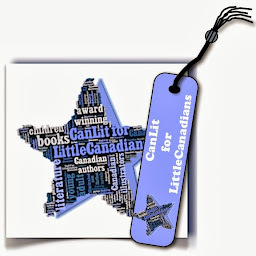 When the Rain Comes is a resoundingly effective addition to our diverse youngCanLit collections and for enabling cultural competence for all readers, adult and young.